OP0943. 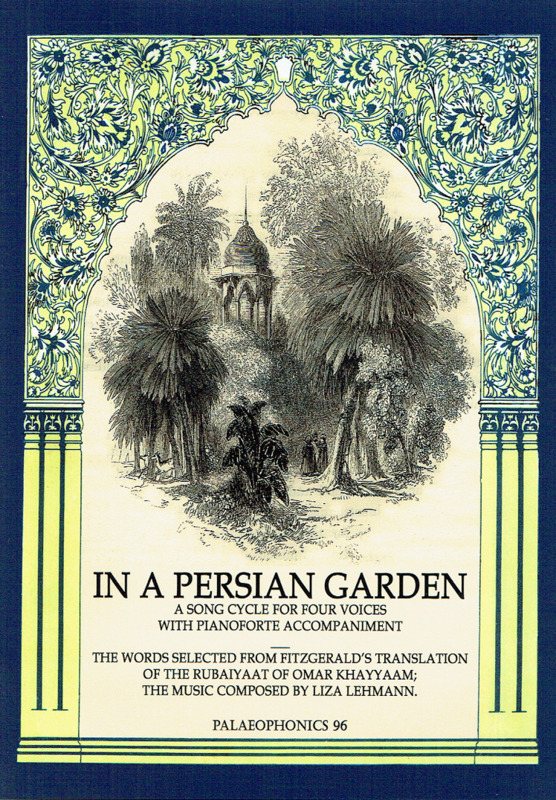 IN A PERSIAN GARDEN – Excerpts (Complete, as recorded in 1916) (Liza Lehmann), with The Composer directing Agnes Nicholls, Edna Thornton, Hubert Eisdell & George Baker; IN A PERSIAN GARDEN – Excerpts by Marguerite Dunlap, Olive Kline, Harry Macdonough & Reinald Werrenrath – recorded 1915. (England) Palaeophonics 87, w.Elaborate ‘The Play’ 20pp. Brochure replete with numerous beautiful color reproductions of HMV's original 1916 artwork, plus texts of all the songs and a photo & quote of Liza Lehmann. Excellently transferred from the legendary Acoustic 78rpm rarities. "British composer Liza Lehmann wrote her most beloved piece, In a Persian Garden, in 1895. 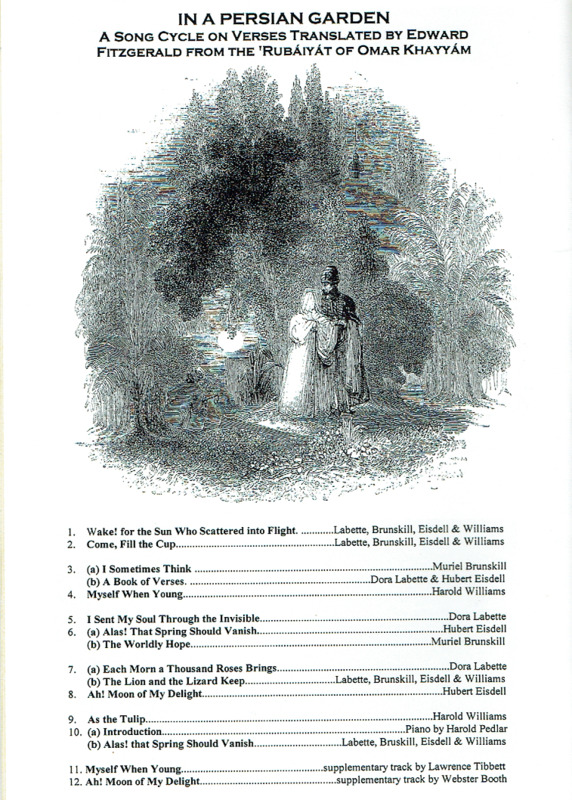 Using the majority of Edward FitzGerald's translation of the Rubiayat of Omar Khayyám, the cantata scored for SATB solo quartet and piano, enjoyed wide-spread popularity into the 1920s and 30s. The piece and this performance, as a joining of the work of entities largely unknown to each other, make this presentation In a Persian Garden: The Collaborative Rubaiyat. Liza Lehmann, was a widely popular composer both in the Europe and the United States at the end 19th and beginning of the 20th centuries. In 1910, Lehmann made a successful tour of the United States, where she accompanied her own songs in recitals. She became the first president of England's Society of Women Musicians in 1911 and 1912. Even after her death in 1918, at 56, selections from her work, especially from In a Persian Garden. were still popular and made by the likes of Lawrence Tibbet, John McCormack and Mario Lanza."